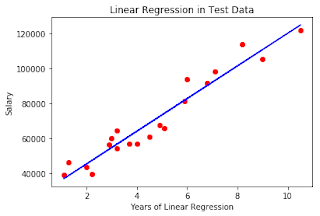 Before introducing the concept of deciding the price of a house, let me introduce you to the topic of Linear regression and multiple regression, which is, in fact, the basic concept behind deciding the price of a house. Although its one of the many ways of deciding and not the only way. 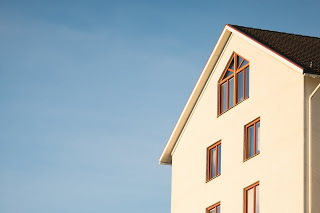 Independent variable: Here the independent variable will be the basic deciding factors that will affect the price of a house. Dependent variable: This is the output that we want to conclude based on the dependent variables. The independent variable depends on one or more dependent variable. b0 and b1 are the constants. Consider a given example, where we are able to predict the salary of a person based on the years of experience for the person. You see his at Blue line it is the prediction we made for the Predicted Salary of the person, based on the Years of experience. The red dots represent the Real Salary. Similarly, by using the number of rooms in the house as the dependent variable (x-axis) and the price of the house as the independent variable (y-axis), we can represent a similar representation. 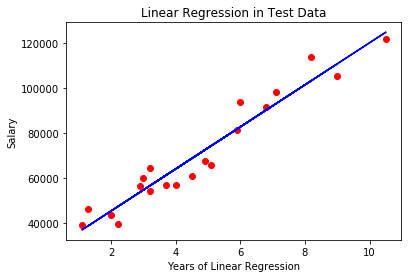 In multiple regression, instead of only one dependent variable and one independent variable, there is more than one independent variable that can put their effect on the conclusion of a dependent variable.